George G. Harrap & Co., 1949, Hardback in Dust Wrapper. Condition: Good+ - in Poor Dust Wrapper. Edges of the dust wrapper somewhat frayed with loss at the spine ends and corners. Gently bruised at the head, tail and corners of the binding. Leans. Pages lightly age-tanned. Previous owners' inscription to the first blank. From the cover: “Charlotte M. Yonge’s life reflects, as though in miniature, the whole pattern of the Victorian period — its manners and modes, social structures, beliefs and behaviour. 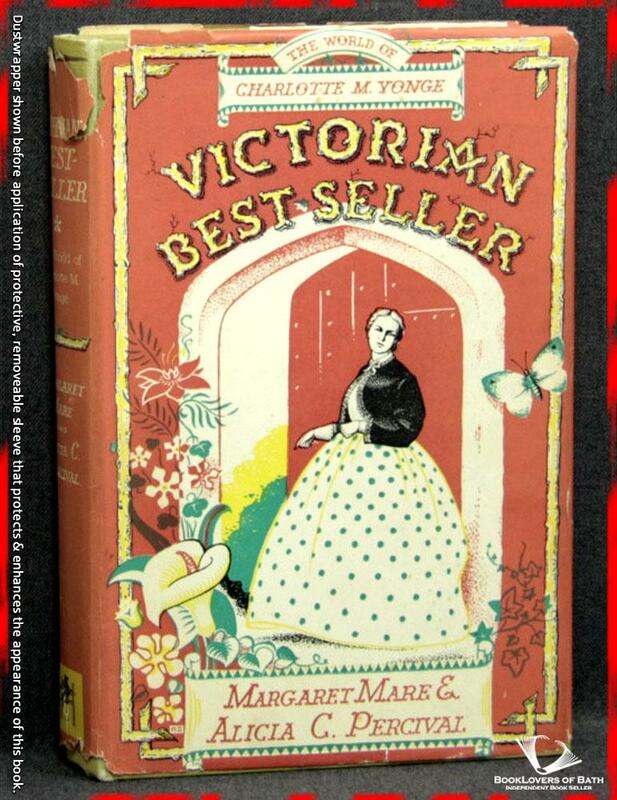 Thus, this book is not only a study of a renowned Victorian authoress, but also a study of the epoch spanned by her life and faithfully reproduced in her novels. From our own restless and insecure century we can look back with envy to certain aspects of Victorian life; but the authors of Victorian Best-Seller admirably indicate, with a light irony rather than with contempt, that there were many ideas held and habits adhered to, by Miss Yonge’s own section of society (the ‘upper middle class’) which we should, with justice, deprecate. Charlotte Yonge’s progress through life is skilfully emphasized. in the careful attention that has been paid here to family life, customs, clothes and travel in that period. Considerable quotation is made from Miss Yonge’s novels to recreate the atmosphere in which she lived and worked. There is a fine portrait of John Keble whose influence on her life and work she always so generously acknowledges. Size: 8¾" x 5¾". Green boards with Red titling to the Spine. 292 pages.